Satchel Paige. 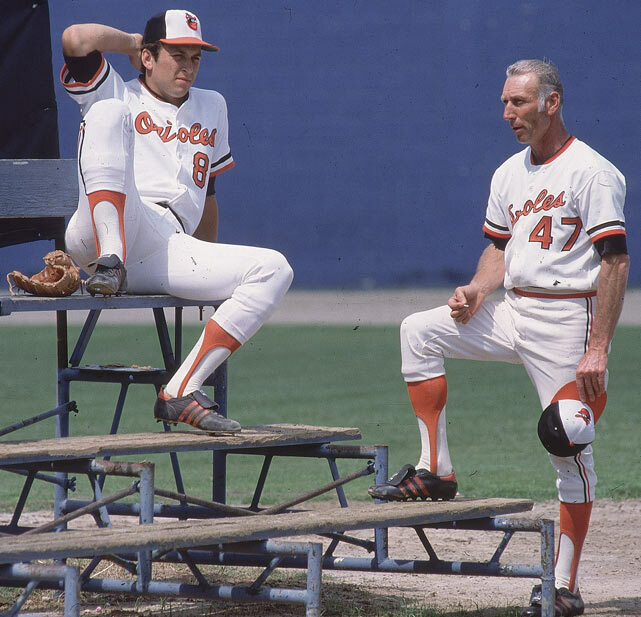 Ripken Jr & Sr. Billy Martin. Jackie Robinson. Yogi Berra. Sandy Amoros. | ninety feet of perfection. Satchel Paige. Ripken Jr & Sr. Billy Martin. Jackie Robinson. Yogi Berra. Sandy Amoros. Satchel Paige during his time with the Miami Marlins. Ole’ Satch joined the Marlins in 1956 at the age of 49 and spent 3 seasons with the then AAA affiliate of the Philadelphia Phillies. I only hope that with the Marlins now adopting “Miami” as their team representation that they will have throwback days in which they wear the uniforms of the old Miami Marlins. 1984. Cal Ripken Junior and Senior of the Baltimore Orioles. I love Baseball photos that feature family members together, especially while on the same team. The only thing missing from this photo is Billy Ripken as he was still in the Minors as a member of the Orioles single A affiliate, The Hagerstown Suns. An unfortunate aspect of this photo is that the elder Ripken is smoking as he was a life long smoker. His untimely death in 1999 was due to lung cancer. 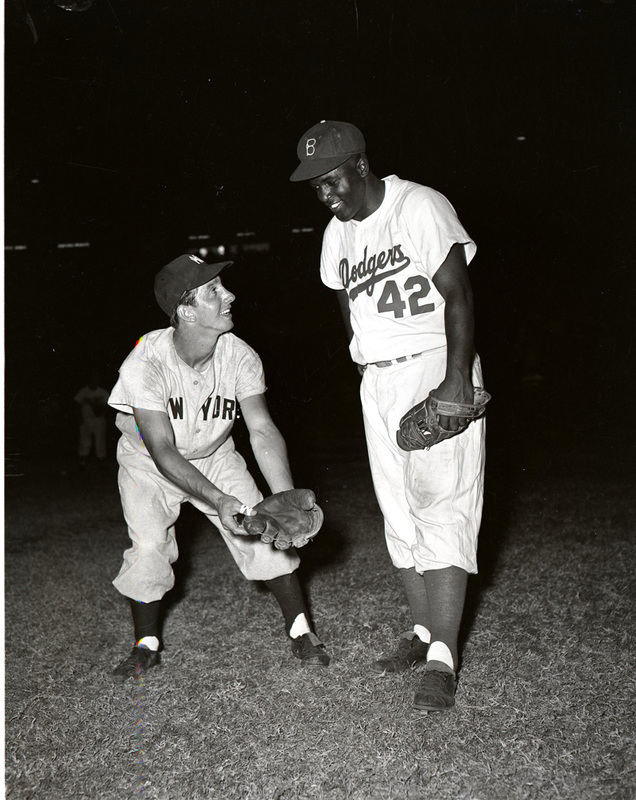 Two of my favorite players in Baseball history, Billy Martin and Jackie Robinson share a photo opportunity together. 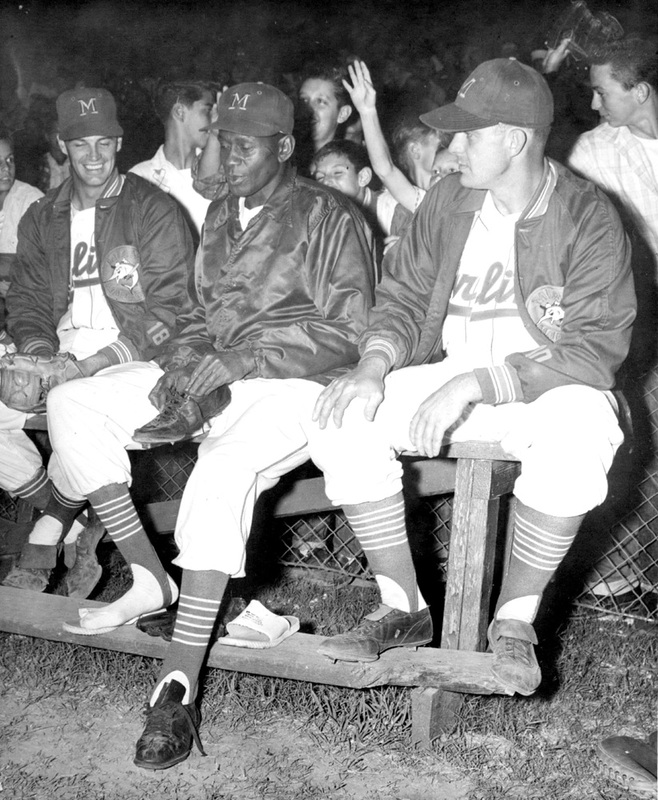 Both players never played an All-Star game together so I am assuming that this was during one of the 4 World Series series they played against each other (’52, ’53, ’55, and ’56). September 21st, 2008. 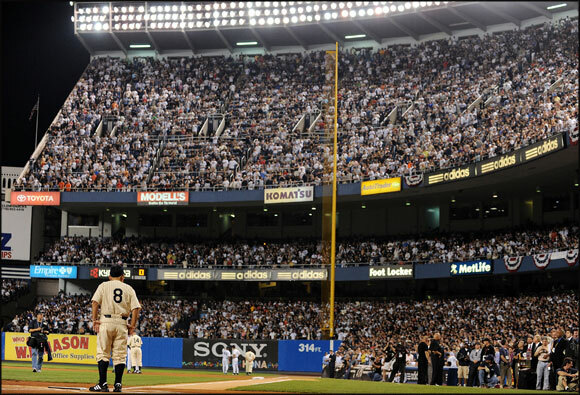 Yogi Berra stands in his classic Yankees uniform in front of a packed house at the final game held at old Yankee Stadium. Amazing. 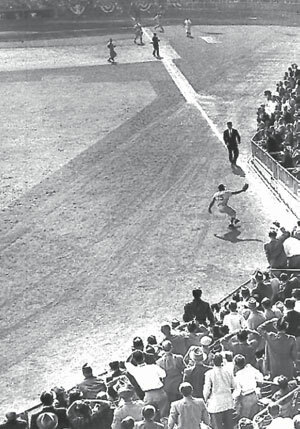 Sandy Amoros’ famous catch from the 6th inning of the 1955 World Series in which he robbed Yogi Berra of an RBI extra bases hit. I have literally seen video and photos of this catch my whole life but it was not until I came across this photo had I seen the catch from behind. Very cool I must say. Also, when looking at this catch and re-watching the video (HERE, at the 5:20 mark) I must admit that I’m not so sure Amoros would have caught the ball if he was right-handed. ~ by duaneharris19 on November 15, 2011.